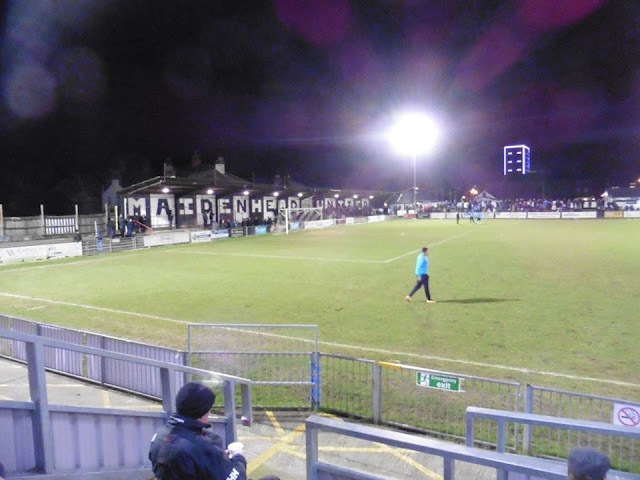 Maidenhead United Football Club were formed in October 1870. 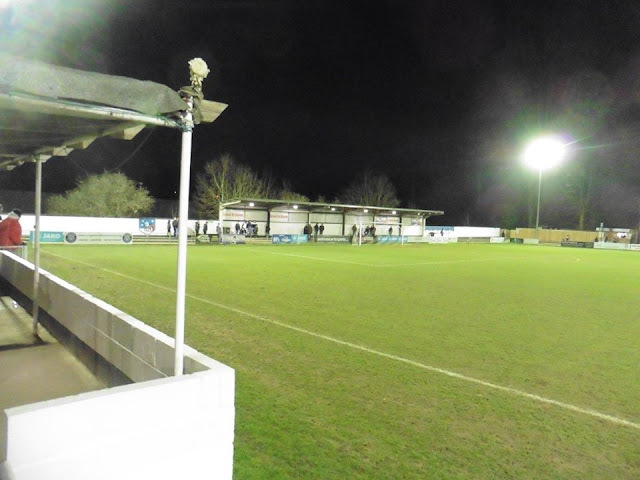 They played their 1st ever game 2 months later in December against Windsor Home Park at Bond's Meadow, near Maidenhead bridge. 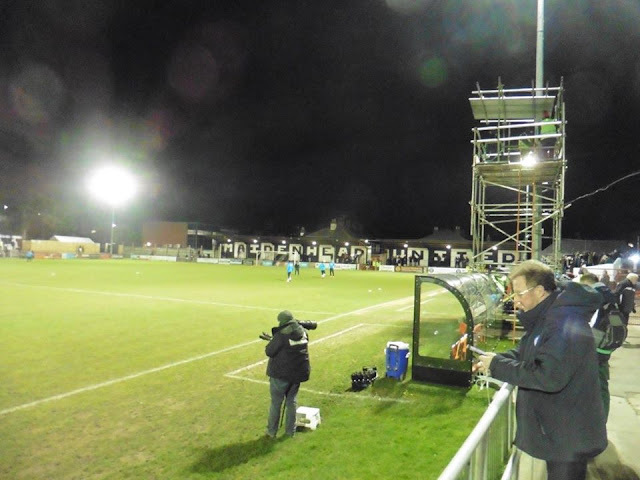 A year later, they played their 1st game on the York Road site, against Marlow. The ground York Road, when then at the time was shared with the Cricket club, is officially acknowledged as the oldest continuously used football ground in the world by the same football club, eclipsing Northwich Victoria's old claim by 5 years. 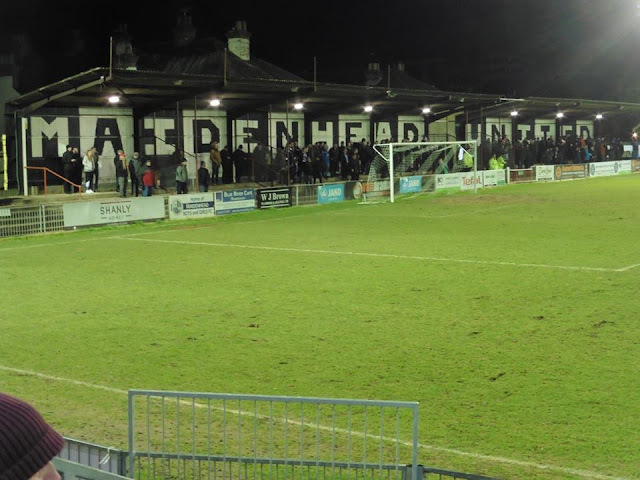 Maidenhead were one of the original 15 entrants in the first ever FA Cup competition in 1871-72, and the following season, they reached the last 4 losing out to Oxford University. 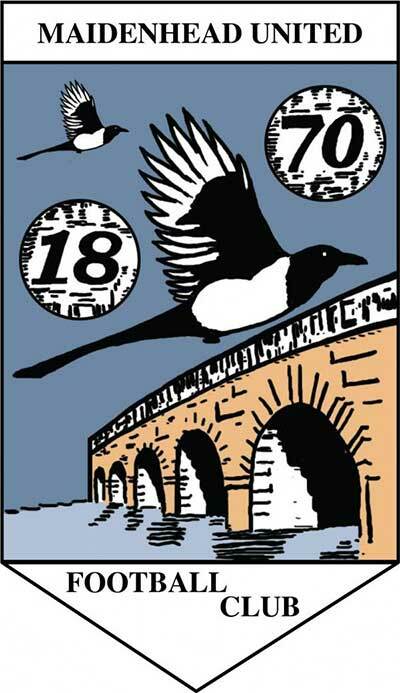 They entered the Berks & Bucks Senior Cup for the 1st ever time in 1878 and they won it for the 1st time ever in 1895. 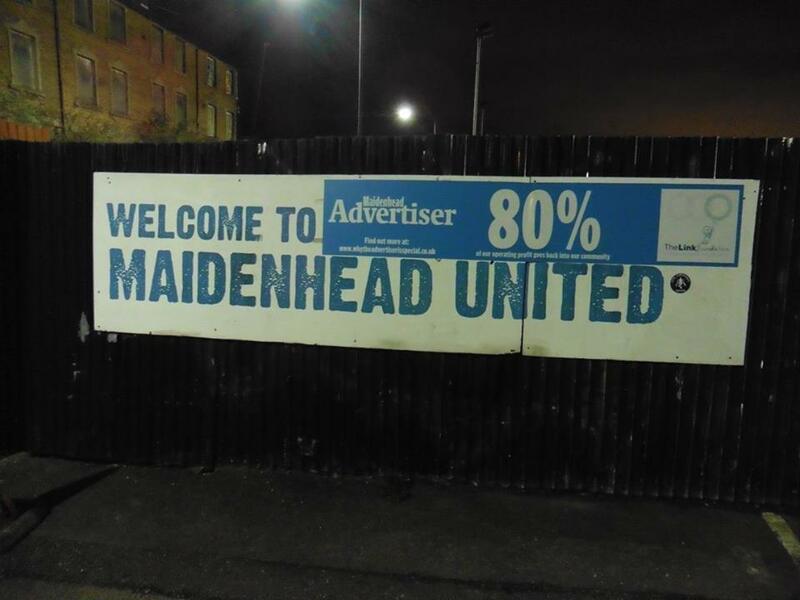 Maidenhead FC merged with 3 sides before the Great War. Maidenhead Excelsior were formed in 1877 and joined forces with the Red and Blacks in 1885. Maidenhead Temperance or originally known as Maidenhead Band of Hope almagated with the club in 1891 as did Boyne Hill FC who did likewise later that year too. 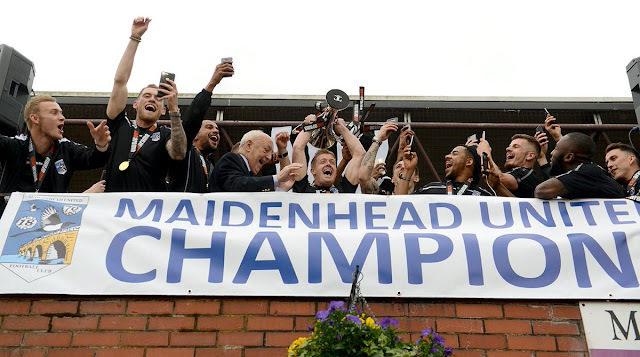 Maidenhead have won the Berks & Bucks Senior Cup 22 times, the 1st one being in 1895. 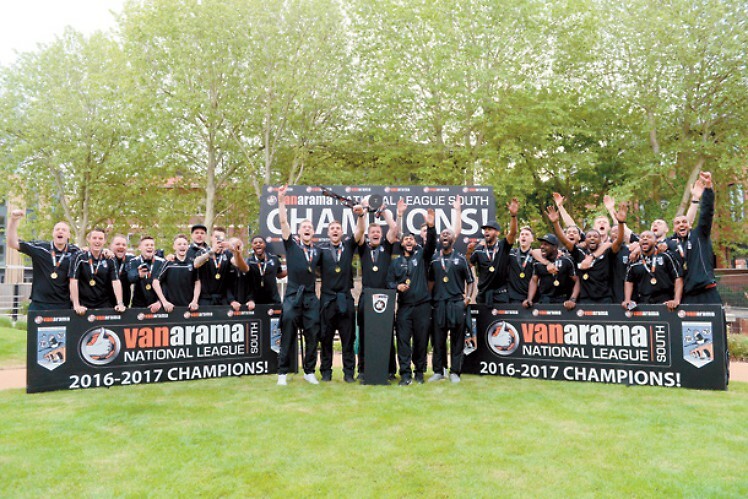 As the years have gone on, the club currently sit in the Vanarama National League. (at the time of typing this) The club won the Vanarama National League South in 2017, winning the title on 98 points from 42 games. They beat Ebbsfleet to the title by 2 points, who won the Play Off Final that same very year. 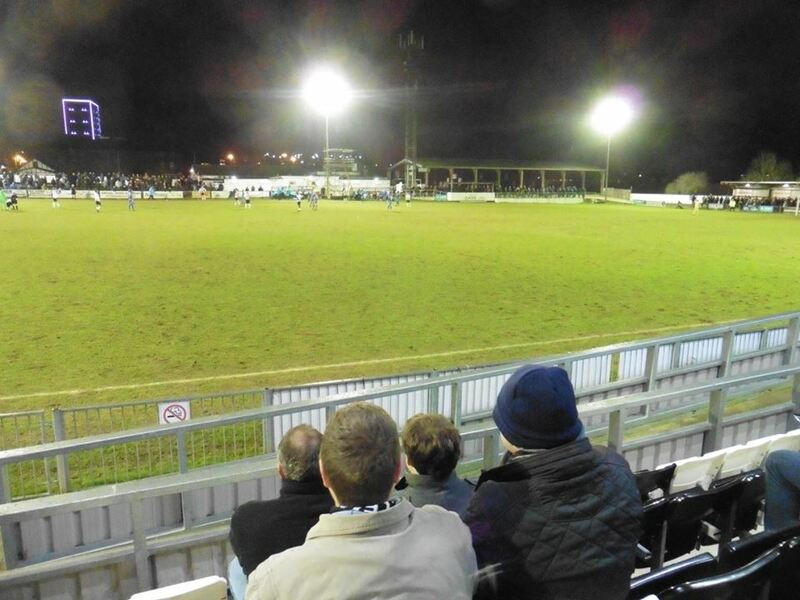 Maidenhead United play at York Road, and has been home to Maidenhead ever since the club has existed in 1871. 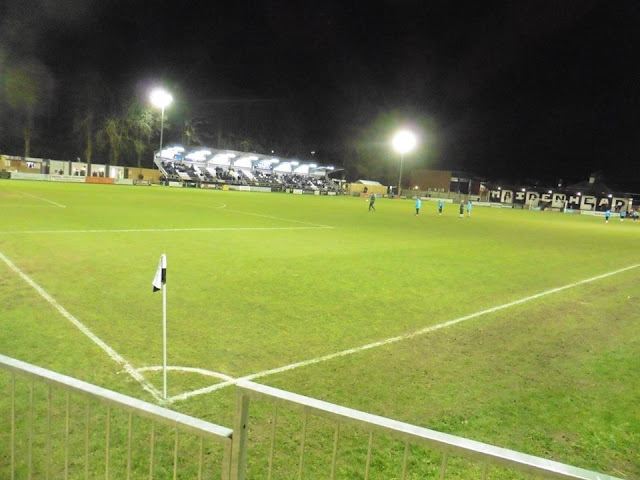 It is acknowledged by the FA and FIFA to be the oldest continuously-used senior football ground in the world by the same football club. 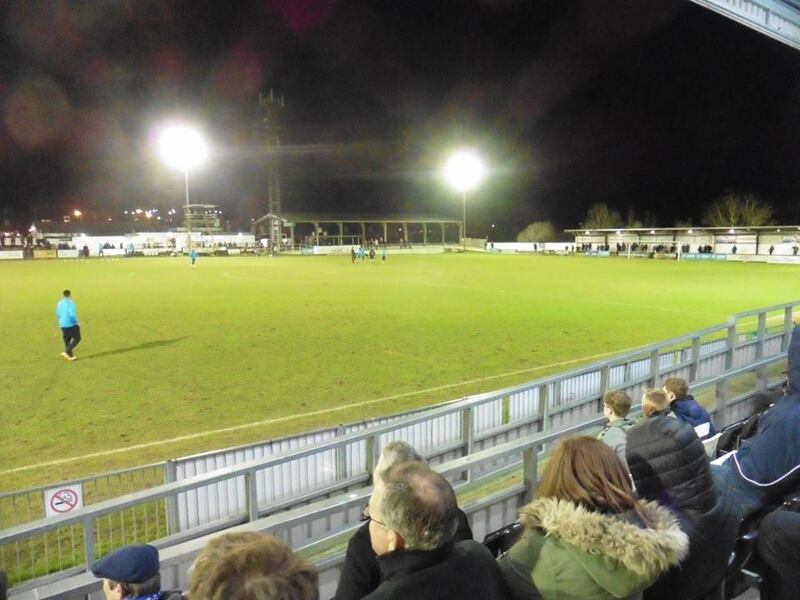 It was briefly home to Hayes & Yeading United from 2014-2016. 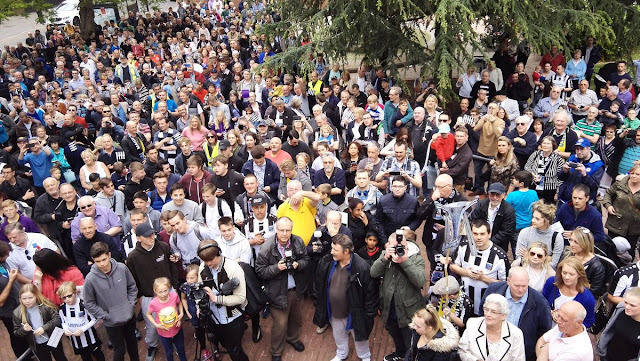 The ground holds 4,000 with 550 seated. Maidenhead railway station is no more than a 5 minute walk to the ground. After a quiet spell of Groundhopping lately due to mainly the weather playing a part in it, it was back to Groundhopping business for me. I was hoping to go to Shrewsbury v Gillingham but sadly I couldn't make it, was hoping to get a lift of somesort but didn't manage to. I could get the coach, but getting back from Gillingham to home as I don't live in Medway would have been a bit of a pain. But I wasn't too worried, I had been to Shrewsbury in the past, plus I'm off to Bury this coming Saturday anyway. So after a quick look at the fixtures, Maidenhead v Eastleigh was a fixture I liked the sound of. I was only on 11 grounds in the Vanarama National League that I had been to, so was pretty low, plus Eastleigh are managed by none other than Gills legend Andy Hessenthaler, plus with a few ex Gills players in there, would have been nice to see some ex Gills. 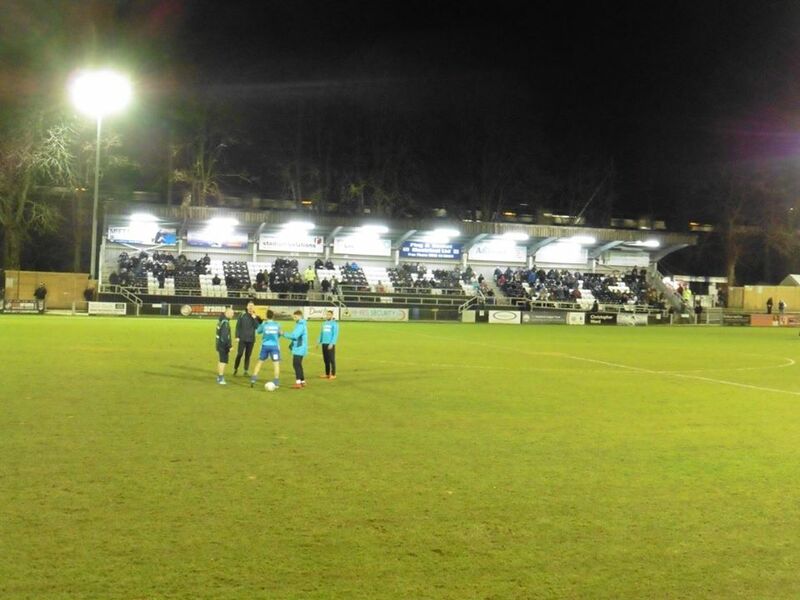 So after leaving after half 4, I arrived to Maidenhead about 7.25 and arrived to the ground shortly after that. 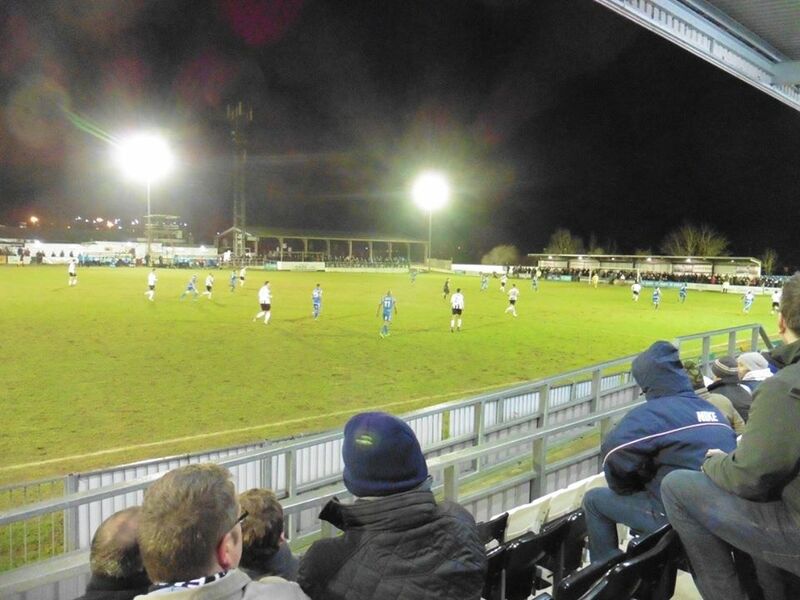 After 21 minutes, ex Dover man Moses Emmanuel put the Magpies in front after 21 mins from a neat finish with Eastleigh equalising just before half time through Ayo Obileye, which at the time did look like a penalty. 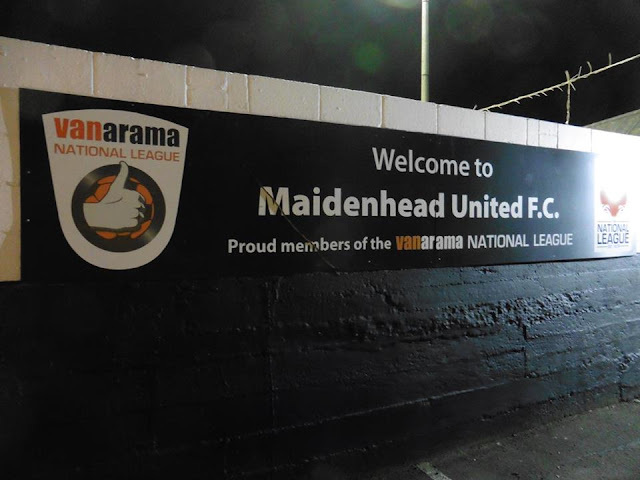 2nd half although Eastleigh looked the better side, Maidenhead took away their chances with Sean Marks and Harry Pritchard sealing the 3 points for Maidenhead. Was impressed with the lad Harold Odametey the number 4 for Maidenhead, looked a very strong player and a pacy player too. 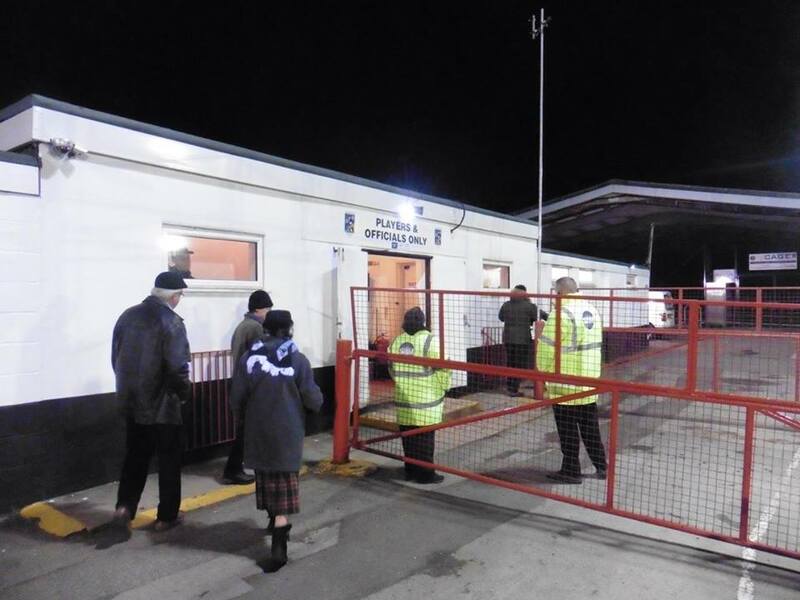 Although a cold night, was fairly impressed with the ground, and very easy to get to from the station as well. Afterwards, I arrived home shortly after a midnight. A good night overall, and was better as well after hearing Gillingham got a great point at high flying Shrewsbury.